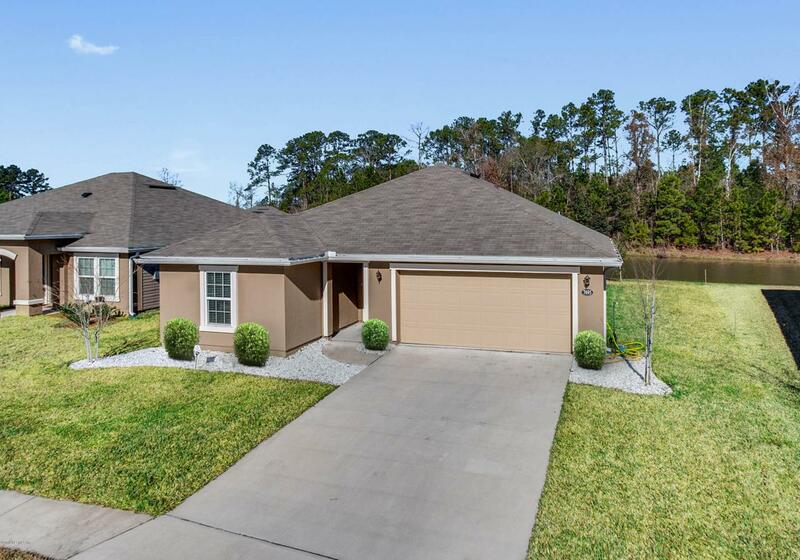 Brand new 2017 home 3/2 in the commuter friendly Westland Oaks Neighborhood. With breathtaking upgrades this gem is extremely well maintained!! Where to start?! Safeguard security system on all home access points, Carrier thermostat (controllable from phone), cable inputs in all rooms (including garage), floored with a beautiful vinyl wood look in all wet areas!, huge master closet, Rheem hybrid water heater, oversized covered lanai providing a relaxing waterfront view, 360 gutters, low-E solid pane tilt out windows, granite counter tops, undermount sinks throughout the home, elevated ceilings, recessed ceiling lights, ceiling fans, 42'' kitchen cabinets, premium stainless steel appliances (all still under warranty)! Seller WILL PAY 4,000 TOWARD BUYER CLOSING COSTS WITH FULL PRICE OFFER! !